This program is the product of over 35 years of gardening experience. Gardeners Exchange member Dianne Kazanjian shares what she has learned about tools that make gardening tasks easier. Effective tools do not need to be expensive. Dianne will bring a number of her tools that she has found to be the best. Dianne Kazanjian is a graduated Master Gardener who ran the business Flower Bed Designs for many years. A member of Pepperell Garden Club for 32 years, she has been a member of The Gardeners Exchange for 5 years. Houseplant swap and book / magazine swap. Speaker Cheryl Monroe will help us prepare for a productive and creative gardening season. Topics include: what to prune now and why, tool sharpening (demonstration and bring yours too! ), flower bed cleanup and evaluation, transplanting, lawn care, pest control (voles, winter moth, and scale), houseplant basics, bulb care and bare root plants. Get through this busy season informed, prepared, and ready for whatever Mother Nature throws your way. Cheryl Monroe is a self-taught gardener for 20 plus years, a graduated Master Gardener specializing in clematis and garden design. Seed share and seed catalog swap. This is one of our most popular events – the food is always delicious & the meeting is an important one as we prepare for 2019 with elections and input for next year’s activities, presentation topics, etc. You’ll also take home your fall dividends and drop off any seeds you’ve collected for next year’s Spring Seed Swap. At the meeting we will be electing our Chair/Co-Chairs, Treasurer and members responsible for Communications, Programs, Dividends/Container Contest, and Swaps. Please give this some thought in advance and decide whether you would like to volunteer or nominate another member or members. A big thanks to the many members who helped during 2018 – this was another good year in terms of sharing the workload. There will be volunteer signup sheets on each table at the pot luck – so be sure to add your name for 2019. And don’t forget to bring your ideas for 2019. We’ll be discussing the topics you’d like to hear more about & your suggestions for speakers, gardens you’d like to visit, field trips that intrigue you and workshops you’d like to participate in. Fall dividends will be distributed at the end of the meeting. Perry will email photos and descriptions prior to the meeting. If you are unable to make the meeting, please arrange for someone else to pick up your bulbs for you. Fall is the time to save seeds from your garden to share with your fellow Gardeners Exchange members next spring. If you have already harvested seeds, place them in an envelope & label with the name of the plant, color, height, sun exposure, perennial/annual, etc. and your name and phone # (in case we need to get more information about the plant). Bring them to the pot luck and give them to Judith. They will reappear at the spring seed swap in individual envelopes, ready to be planted. Our August Gardeners Exchange Garden Tour & Presentation will take place at the home of Lela & Garr (see member email for address) on August 25. This is a “rain or shine” outdoor event so please dress accordingly. Parking is ample: in the pasture next to the barn, in front of the barn and in front of the garage – take your pick. As always, light refreshments will be coordinated by Lela and provided by our much-appreciated group of volunteers. I have set up a drip irrigation system that is tied to our domestic water (well). It directs water to the plants’ roots and not the leaves which helps limit powdery mildew and conserves water. Portions of the system – around permanent plantings – remain in place year round. Where I change locations – such as in my vegetable garden – the parts are recycled. The system is mostly above the frost line so I have designed it to be drained. Part of the system is set up as an outdoor sink to wash vegetables – which keeps Lela happy since I don’t mess up the kitchen! John and Lucy have again offered their wonderful gardens and hospitality for our summer cookout and garden tour. Location will be emailed to members. We will visit Fuller Gardens in Rye, NH. Meet in Shirley center at 9:15am for carpooling or at Fuller Gardens at 11:00am. There is a $7.50 admission fee per person with our group ($9 normally). We will tour members Bob and Cindy Carter’s Gardens. Location will be sent to members by email. We’re getting back to our roots in April! The Gardeners Exchange grew out of a desire for gardeners to meet and “exchange” gardening knowledge, tips for success and inspirations. At our April meeting we return to this original concept with three mini-presentations given by members on using the garden’s bounty in new ways. As always, light refreshments will be served. In addition, our spring dividend distribution will be held at the end of the meeting. Members each get three, free, quart-size perennials as “dividends.” And there will be extras for sale so don’t forget to bring cash or check if you plan to add to your three freebies! If you can’t be there to pick up your dividends, please ask another member to take them for you. Celeste will describe simple syrups and shrubs (sweetened vinegar-based syrups) made with herbs and fruits. These can be used to flavor both alcoholic and non-alcoholic drinks. She will have three different samples to try and recipe handouts to take home. Perry will do a “show and tell” on dehydrating fruits at home using your oven. She has had success drying cherry tomatoes, Asian pears and apples using this simple method and will be bringing samples for tasting. Judith will demonstrate how to make “fire cider,” a tonic with many health benefits that can be made out of ingredients from the garden. It can be consumed “as is,” made into a tea or used in salad dressings, chutneys, marinades, soups and chilis. She will be providing samples for tasting as well recipe handouts. There will be a $5 charge for non-members only to help defray the costs of our 2018 presentations. Parking If possible, please park across the street at the school to leave space in the library parking lot for library patrons. Thank you! In some ways, pruning flowering shrubs can be a bit more complicated than pruning trees. When shrubs have been improperly pruned or just left to their own devices, they begin to resemble what Jen calls “The Green Helmet.” In this workshop, you will learn how to avoid The Green Helmet by selective and timely pruning using her 10-step guide, along with the appropriate tools and personal protective gear. Jen Kettell is a certified arborist and horticulturist who worked for over a decade as a staff horticulturist at Harvard University’s Arnold Arboretum. She now shares her passion for teaching horticulture through the training she provides to both homeowners and green industry professionals. 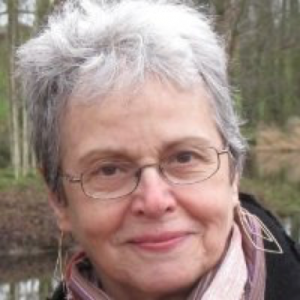 She is a guest lecturer and trainer at the University of Massachusetts, MA Department of Conservation and Recreation, the Arnold Arboretum, and the International Society of Arboriculture. We have added a special event to our calendar for 2018. On March 10, we will be visiting the glass houses at Tower Hill with THBG Director of Horticulture Joann Vieira as our guide. This is a special tour for Gardeners Exchange members and will highlight the extensive collection of camellias, many of which will be in full bloom. And the best part? Both the tour and admission to THBG are free for GX members – so don’t forget your membership card just in case (last year’s will be fine). Please plan to arrive at THBG a few minutes before 10:00am. At the gate, let the gatekeeper know that you are with the Gardeners Exchange and they will let you in, then park your car and meet in the “Garden Within Reach” just outside and to the right of the main entrance to the building. Joann will meet us there. At the end of the tour, you are invited to walk the grounds at your leisure. And you may want to consider a light lunch at the restaurant (reservations recommended) before you head home. This is one of our most popular events – the food is always delicious & the meeting is an important one as we prepare for 2018 with elections and input for next year’s activities, presentation topics, etc. You’ll also take home your fall dividends and drop off any seeds you’ve collected for next year’s Spring Seed Swap. A big thanks to the many members who helped during 2017 – this was another good year in terms of sharing the workload. There will be volunteer signup sheets on each table at the pot luck – so be sure to add your name for 2018. And don’t forget to bring your ideas for 2018. We’ll be discussing the topics you’d like to hear more about & your suggestions for speakers, gardens you’d like to visit, field trips that intrigue you and workshops you’d like to participate in. Our fall plant swap and visit to Mason Hollow Nursery in Mason, New Hampshire are on September 23rd. We’ll enjoy a presentation, garden tour and plant shopping. We’ll begin early – at 9:00am – in Shirley Center for the plant swap, followed by carpooling to the nursery for the 10:30am presentation. For those who want to make a day of it, lunch at Parker’s Maple Barn is highly recommended and only 1-1/2 miles from the nursery. Hope to see you on the 23rd! Has your garden become shadier over time as the surrounding trees have grown taller? 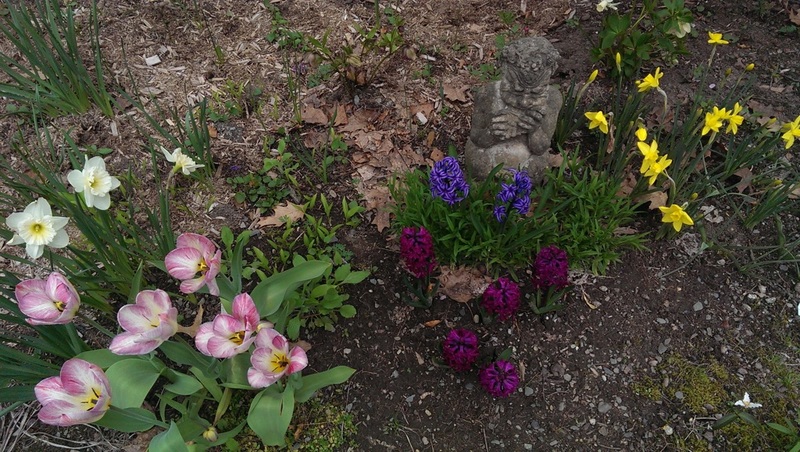 Is there a shady corner of your yard yearning for attention? Sue will introduce us to hostas – stunning shade lovers that include an enormous variety of sizes, shapes and colors – and their many uses in shady and not-so-shady spaces, alone or in combination with other shade lovers. She’ll share the many tips she’s learned tending the nursery’s expansive display gardens (with a tour to follow), bring us up to date on her ongoing battle with the local vole population and answer our (often many) questions. Prepare to be inspired to tackle those shady areas with new gusto! Following Sue’s presentation, expect to spend some quality time touring the display gardens and shopping in the nursery. And don’t forget to save your appetite for lunch at Parker’s Maple Barn just down the road. Bring potted divisions and extras from your garden – up to 6-8 per member. All plants should be labelled – if you don’t know your plant’s name, a few words describing its likes & dislikes, height, bloom time & color would be helpful. If possible, dig & pot up your plants at least a week in advance so they look their best for the swap. Owners Sue & Chuck Andersen opened Mason Hollow Nursery in 2001 offering 300 varieties of Hosta. The nursery has since grown and we currently offer upwards of 800 plant varieties! Along with Hosta, Mason Hollow Nursery also offers great selections of Ornamental Grasses, Heucheras, Wild Flowers, Ferns and selected Trees & Shrubs, collectors’s Conifers and many other selected Perennials. Mason Hollow Nursery is located in Mason, NH just a short country ride (1.6 miles) from Parker’s Maple Barn Restaurant, a good spot for lunch after our meeting. Our July meeting is our summer garden tour, cookout and container contest. Bring those containers you started at our May meeting! Note that there is no herb swap this year. You can put all your energy into your containers! Note that this is a Sunday meeting. John and Lucy are our hosts (see member list or July email reminder for address and driving directions). Look for an email earlier in July with your assignment for a main dish, side dish, beverage or dessert. Our June meeting will be at Marc and Tina’s home in Fitchburg (see member list or June email reminder for address and driving directions). Our Tomato & Veggie Plant Sale will be held at the home of members Judith Taylor & Scott Lewis on Wednesday 5/24 and Friday 5/26 from 4pm to 8pm each day. Tomato and vegetable plants have been lovingly raised by Judith and there will be many different varieties available. Plants will be about 18-24” tall and will be offered at $4 each or 3 plants for $10 (cash or check only). Proceeds will benefit the Gardeners Exchange, so plan to do your shopping at Judith & Scott’s – the timing is perfect with no chance of frost. As soon as you get your plants home, they can be planted outdoors! See email from Janet or contact Scott or Judith via their contact info in the member list for address and directions. Get ready for our Container Contest later this summer! Our May meeting is a Make Your Own Container Garden event at Stillman’s Farm and Greenhouses in Lunenburg. Please bring your own container. Stillman’s will provide soil, plants (at retail prices) and instructions. This event is in a private garden in Shirley, MA. 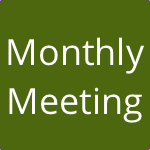 See the member email or email a board member for exact location. Join Gardeners Exchange member Judy Erickson for a workshop and slideshow on garden structures. We will start indoors with slides showing different projects such as arbors, bamboo fences, and trellises. Then you can try your hand at sand casting a birdbath in cement; or tying bamboo for a screen, small fence, or trellis. The goal is to try out techniques and materials, rather than actually complete an entire project, and to come away with lots of new inspiration for your own DIY garden structures. Judy has been reinventing her vegetable garden with recycled (read trash-picked) materials for several years. Every year is a new combination. She has built trellises, a large pergola, raised beds, cold frames, and is currently building a greenhouse. Bring mud boots, work gloves and a clean pair of shoes to change into to come inside for refreshments. In the event of heavy rain, the event will be held on April 23rd. Built landscapes serve both ecology and humanity. When done well they promote broader ecological functions of hydrology, soil conservation, and wildlife. Spaces to socialize, comfortably walk, engage with natural function, and harvest food are meaningful experiences that cultivate value. There is a $5 charge for this event to help cover the cost of some of our speakers this year. Growing, harvesting, and eating food from the garden is a powerful act that touches upon all these attributes, and fruits are the tastiest items to come from the landscape! This lecture will continue to build upon previously covered topics of promoting soil health and basic garden design. It will profile several small fruits, how they integrate with the garden, and include tips for their care. Presented by Adam Gray Monroy. Adam has 17 years of experience in landscape design and building, and has worked with HomeHarvest Edible Landscapes & Construction for five seasons, happily exploring the integration of edible components into typical urban and suburban landscapes. He enjoys the challenges of building these spaces and the benefits of working with such a fun team. His fields of study include horticulture, sustainable agriculture, and landscape architecture. Looking for inspiration to tackle a new garden project? Need an approach for organizing and capturing your design? Can’t get started until the spring plants arrive in the nursery? Join us for a primer on garden design. Cheryl Salatino will take us through her approach to garden planning and design, sharing where she starts, the information she gathers, and the various methods she uses to communicate her analysis, ideas, designs and planting plans. Cheryl’s presentation offers both how-to steps and examples to help every aspiring designer challenge their thinking and get ready for a spring renewal. Cheryl Salatino is the principal designer and owner of Dancing Shadows Garden Design, a residential landscape design and services firm. She has been designing gardens across Massachusetts, and as far away as Maine, since 2002. Cheryl is a Certified Landscape Designer and a Massachusetts Certified Horticulturist (MCH). She received her certificate in landscape design from the Radcliffe Seminars Landscape Design Program of Harvard University. 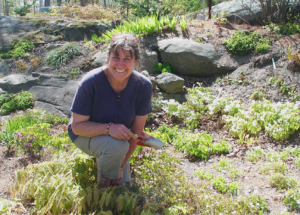 She was awarded the status of Massachusetts Certified Horticulturist by the Massachusetts Nursery & Landscape Association as evidence of achieving the industry’s highest standards in nursery and landscape professionalism. Cheryl has also earned an Advanced Certificate in Horticulture and Design as part of the certificate program in Native Plant Studies at the New England Wildflower Society. She enjoys collaborating with her clients and sharing her garden design approach with fellow garden enthusiasts. We will be visiting Pleasant Garden Daylilies, located at 111 Coventry Wood Road in Bolton, to view (and possibly purchase!) some daylilies of distinction. Bring a picnic lunch; our hosts, Sallyann and Bruce King, will supply the iced tea. Meet at the Shirley Center Town Hall at 10:15am if you would like to carpool. At Pleasant Garden, the Kings’ gardens surround their home and pool so that they have a garden view–daylilies predominating–out of every window. Sallyann’s certified display garden has over 400 cultivars, and the property is also a National Wildlife Federation certified habitat. 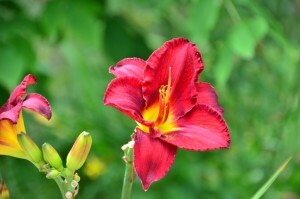 “Our philosophy has always been…come and enjoy the garden,” says Sallyann, a daylily enthusiast. 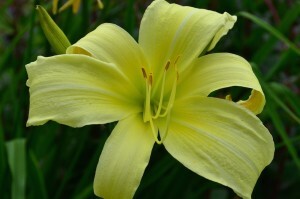 She was a member of the original Bolton Garden club, and is a member of the American Hemerocallis Society. She has lectured to area garden clubs and at Tower Hill (Worcester County Horticultural Society). Sallyann is presently both a certified exhibition and garden judge for the daylily society and regularly attends NEDS meetings, which are held at Tower Hill. She is proud of once winning “best in show” at the regularly held flower show at Tower Hill and has many ribbons, but adds that judges cannot enter shows in which they are judging. She and her husband used to dig plants for their customers while they waited, but now they work out alternate plans with their customers when possible, to ease the digging. “Age has a way of demanding that!” she says. John and Lucy are our gracious hosts for this year’s summer garden tour and cookout. See email or member list for their address. Since their home isn’t far from the usual carpool meeting place, there is no formal carpool plan for this meeting. Members that want to carpool together are encouraged to do so to make parking easier at John and Lucy’s. This meeting includes the container contest! We will tour Scott and Judith’s gardens. Vegetable gardens, berry bushes, shrubs and a variety of flowers, all surrounded by ample stone, mostly “harvested” on their property. Flowering shrubs, perennials and rock gardens should be the highlights at this time of year. See group email for Scott and Judith’s address. Guided tour of New England Wildflower Society‘s Garden in the Woods in Framingham, MA. Our Gardeners Exchange meeting on Saturday, April 23 will feature a not-to-be-missed presentation on a topic of vital importance for all gardeners: healthy soil. After all, the soil is where all gardens begin! In addition to the presentation, spring dividends will be distributed at the end of the meeting (see below for details). As always, light refreshments will be served. We are charging $5 at the door for this special presentation to help defray the costs of all of our 2016 programs. This is a 1hr 45min program – so be sure to come on time, get your refreshments, and grab a seat. Ben Barkan is the Owner, Founder, Lead Designer, & Consultant at HomeHarvest – Edible Landscapes LLC. Ben will discuss soil properties such as pH, plant nutrients, organic matter, soil testing and analysis, and how to respond to soil contamination. These basic concepts are important for all gardeners to understand, whether they grow perennials, annuals, edibles or all three. Learn how to develop and maintain soil that produces thriving, colorful perennials or bumper crops of nutrient dense produce. This intensive soil health presentation is suited for anyone interested in growing perennials, annuals or edibles while using sustainable, organic practices. 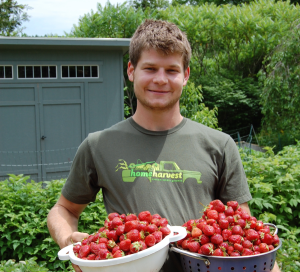 Inspired by working on more than 30 organic farms in New England, California, Oregon, Hawaii, New Zealand, and Australia, Ben founded HomeHarvest in 2008 with just a bicycle and shovel. Based out of Arlington and Lexington, HomeHarvest now has several company trucks, eight full time employees, and over 400 edible gardens installed throughout Boston and its suburbs. Ben has a degree in sustainable agriculture and is permaculture-design certified and is a popular speaker throughout our region. Note: This is a special, intensive one-hour and 45-minute program, so be sure to come on time, get your refreshments, and grab a seat. You won’t be disappointed! The meeting will conclude with distribution of spring dividends, one of the most popular benefits of Gardeners Exchange membership. Each member will take home three perennials hardy in our zone. Extras will be available for purchase so be sure to bring cash or check if you think you might be interested. If you won’t be at the meeting, please make arrangements for another member to pick up your dividends for you. Thank you! Gardeners Exchange membership cards will be available at the meeting. If you didn’t get yours last month, be sure to pick it up when you arrive at the meeting. Always show your membership card when you make plant purchases at local nurseries – it may entitle you to a 10 or 15 percent discount. Description: Known by many as a simple ground cover for dry woodland shade, Epimediums are finally getting the appreciation they deserve. This “perfect shade perennial” possesses a delicate beauty that belies its surprisingly tough, long-lasting nature. Karen Perkins, owner of Garden Vision Epimediums, will illustrate the many and varied types now commercially available, including some of the exciting new evergreen species from China. Characteristics, growth habit, growing and propagation, pests and diseases, and combining Epimediums with other shade perennials in the garden will also be addressed. We will even get a glimpse into the collecting trips to China made by Darrell Probst. Karen will also feature several choice, easy to grow shade perennials that combine well with Epimediums. Bio: Karen Perkins graduated from Cornell University with a B.S. in Floriculture and Ornamental Horticulture, and from the University of Delaware with a Master of Science in Public Garden Management. She has worked/interned at several botanic gardens including: the Cornell Plantations, Longwood Gardens, The Arboretum at Flagstaff, Royal Botanic Gardens of Kew, England, and Royal Botanic Gardens of Edinburgh, Scotland. She served in the Education Department of the Tower Hill Botanic Garden in Boylston, Mass. for 17 years. Karen is currently the owner of Garden Vision Epimediums, a Massachusetts-based mail order nursery, started by Darrell Probst, and offering over 170 species and varieties of Epimediums along with other choice companion shade perennials. Description: Dividing, replanting, spraying, deadheading: at some point it begins to be too much. Making the effort to replace flowering non-native perennials with native flowering shrubs and groundcovers can, in the end, allow you to live in a better relationship with your outdoor space: sitting and relaxing in it, instead of being on your hands and knees. 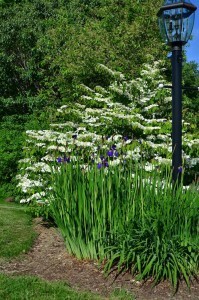 We will talk about some of these wonderful native plants, and why they perform as they do in enhancing our environment. Longeteig is a member of Lexington’s Town Tree Committee, a Town Meeting Member, and an advisor to Lexington High School on landscaping, invasive species, and tree selection. She also serves on the Board of COGdesign, which provides low-income urban non-profits with pro bono landscape design. Pot Luck Supper & Planning for 2016 and Fall Dividend Distribution. We need an accurate count in advance, so see the email for RSVP info and respond by 9/28/2015. There will be heirloom apple, cider, and beer tastings, and food and beer demos with Heather Schmidt of Union Square Donuts (Best of Boston 2013 & 2015, voted best in the US, Eater.com); and, Best Bees – Talk & Honey Tasting; Gardner Ale House, Beer tasting. The live music is provided by Town Meeting (indie folk/rock/Americana), with Ayer’s own Luke and Russ Condon and friends. A free talk on The History of Apples with John Bunker will be held from 1:00 – 2:30 p.m. For 300 years Massachusetts was the center of American orcharding. Long before the days of Red Delicious, Fuji, Gala and Honeycrisp there was Roxbury Russet, Garden Royal, Hubbardston, Nonesuch and Westfield Seek No Further. Where did those old varieties come from? What were they like? What were they used for? Where are they now? Join apple historian and fruit explorer John Bunker for a romp through the history of apples in the Bay State. Learn the answers to these and other questions. Bring your apples for John to identify. There will also be craft and other vendors. Lunch has not been planned but we know everyone will be hungry following the tour. Twigs Cafe at THBG will be open for lunch and serves a variety of salads, soups, gourmet sandwiches and desserts. In addition there are many wonderful restaurants nearby. Recommended are Harvest Grille on Route 12 in Sterling and Ristorante Via Alta 27 in downtown Clinton, both open for lunch. For those carpooling, don’t forget to take lunch into consideration when making your plans! Bring your containers for the judging and prizes! 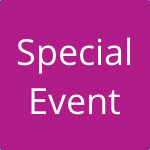 If you are planning to attend, please RSVP by replying to the member email for this event. The festivities will kick off at 12:00 noon with the Gardener’s Exchange First Annual Herb Plant Swap (see below for more info), followed by the cookout. There is plenty of parking available along the driveway and up by the house. Please bring a dish or beverage (serving 6) according to the first letter(s) of your last name and include serving utensils if needed. Thank you! Our August meeting is an herb workshop so now is the time to expand your garden’s herb selection! The least expensive and most fun way to do this is by sharing herbs with fellow gardeners – so we are planning an herb plant swap in conjunction with the cookout. If you would like to participate, please bring your potted and labeled herb plants to the cookout. Some useful information to include would be sun requirements, annual/perennial, self-seeding and perhaps some ideas for how to use it. The swap will be held at around noon, followed by the cookout. Hope to see everyone on the 18th! This event has moved to May 9th. More details will be sent by email. Our presentation on plant propagation will be given by Master Gardener Joseph Rajunas. Joe is a retired chemist and has been gardening since he was five years old, when he weeded his father’s “Victory Garden” in Boston’s Fenway area. In addition to a small backyard garden, Joe built his own greenhouse in which he grows tropical plants year-round and practices plant propagation techniques. Joe will present an overview of the methods of sexual and asexual plant propagation including a discussion of seed collection, plant breeding and nomenclature and the methods of asexual propagation including division, cuttings, layering, grafting, and cell culture, some of which he will demonstrate. Handouts will be available. Bring any gardening books and magazines you’d like to share or swap with members. Just add them to the table near the door when you arrive. All members are invited to take home as many as they’d like. Any leftovers will be donated to the library. Our meeting will conclude with distribution of our spring dividends, one of the most popular benefits of Gardeners Exchange membership. Each member will take home three flowering plants in keeping with this year’s herb and edible flower theme. Varieties chosen will be hardy in our zone, easy to grow and useful for cooking, teas, etc. This spring’s dividends have been coordinated by members Judith Taylor, Rae Price, Celeste Huber and Lela Rhodes. Many thanks to these hardworking members for their efforts! If you won’t be able to make the meeting, please make arrangements for someone to pick up your plants for you.